Every Saugerties property owner wants to keep his or her home comfortable at all times. Traditionally, we rely on forced-air heating systems and air conditioners to perform this task. Although these devices can be amazingly effective, they are not without their downsides. If you are looking for an amazingly innovative alternative to forced-air heating and cooling, you should give serious consideration to installing ductless mini-split heat pumps in your home. 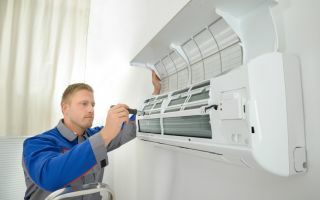 At Precision HVAC, our heating and air conditioning contractors specializes in designing and installing ductless mini split heat pump systems. Our professionals can guide you through the entire selection and installation process. With our help, you will make the absolute most out of your investment. If you are intrigued by the prospect and benefits of a ductless mini split heat pump system, call Precision HVAC today. Our Saugerties professionals would be happy to take your call, to answer any questions that you may have, and to schedule your appointment today. Here are just a few of the amazing benefits that you can enjoy from these systems. Traditional forced-air heating and cooling has a one-size-fits-all approach to property comfort. The air is brought to temperature at a central location, then pushed throughout the rooms of the home via ductwork. The rooms closer to the heater or air conditioner will be more comfortable than those farther away. Ductless mini split heat pumps solve this problem. By having various zones throughout the home, these amazing devices provide cooling and heating directly into all of your living spaces. Not only will each room be kept more comfortable, but also you will be able to keep each room at a different temperature based upon your family's preferences. Another great advantage of the ductless mini split heat pump is that it will reduce your heating and cooling costs. Again, traditional systems rely on air ducts. If these ducts are leaky, anywhere from 20% to 30% of the energy used by your heater and air conditioner can be wasted. The ductless mini split heat pump has none of this energy loss. Because they can provide for your comfort needs throughout the entire year, you will realize substantial monetary savings at all times. When you hire our Saugerties heating and air conditioning contractors to assist you with the installation project, you are guaranteed to maximize this benefit. If you need to hire a professionally licensed heating and air conditioning contractor in Saugerties, call Precision HVAC today at 845-399-0669, or fill out our online request form.